An article I wrote on the reasons entrepreneurs need to develop their own time management systems was recently carried on one of my favorite sites: Entrepreneur’s Journey. Here in the Caribbean, we simply cannot use the time management systems that were not developed with us in mind in full. They assume that the reader or user is just like them — living in a developed country with a culture and way of thinking that is the same. Those of you who read Chronicles may recognize that I first started writing about the topic here in this blog, an eventually started a new blog when it started to take things over. It’s not only turned into a new blog, but an entirely new business. 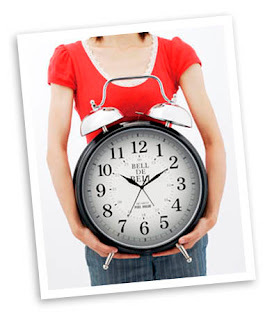 In the article mentioned here, I focus on time management systems for entrepreneurs. Yaro Starak, the owner of the blog, offers a course I took some time ago called “Blog Mastermind” in which I learned how to take my love of writing, and turn it into financially sustainable. To tell you the truth, many other Jamaican bloggers have fallen off the radar and closed their blogs after they ran out of interest. This new dimension has given me a reason to keep going, even if it’s only because it’s so intriguing. Blog Mastermind was a real eye-opener, and if you’re interested in learning more about the program, there is a tremendous free e-book called BlogProfits Blueprint that is available at Yaro’s website.